Update: This article has been updated to include a statement from the Loyola New Orleans coach, Oliver Blackstone. 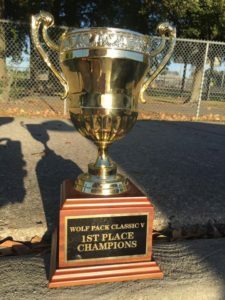 Numerous USQ policy violations ruled games unofficial at the recent Wolf Pack Classic, however, the failure to meet tournament director requirements led to the league deeming the entire tournament invalid. As outlined in the USQ Tournament Director Certification Program and on the Tournament Director Certification page of the USQ website, tournaments with five or more teams are required to have a dedicated tournament director who does not hold any additional roles—including player—at a tournament. The exception to this rule is the appointment of multiple tournament directors who rotate serving as the dedicated tournament director. At the Louisiana tournament, Alex Pucciarelli served as the sole dedicated tournament director in addition to playing for Loyola University New Orleans. She was not available for comment at time of publication. In addition to this violation of USQ tournament director requirements, two of the teams that attended Wolf Pack Classic failed to complete their USQ referee requirements. At least two team members must certify as assistant referees. At least one different team member must certify as a snitch referee. *Adult players may upgrade to a referee membership for $25. This will make one eligible for the certified lead assistant referee position at official matches, which has a compensation rate of $10/game. Florida’s Finest and Loyola failed to meet these requirements prior to their allocated deadlines. The Flamingos had completed all certifications—however, they neglected to pay the referee membership fees for their two lead assistant referees. Loyola, on the other hand, lacked lead assistant referees entirely. “Two teams had not completed their team’s referee requirements before the start of the tournament. However, the penalty for that is invalidation of the official matches—which is already occurring for this tournament,” Woolsey said. In addition to the aforementioned policy violations at the tournament, Loyola also competed without a certified coach and with at least two players who had not submitted proof of enrollment. The “hidden requirements” Blackstone references was that of upgrading his status on the site to validate his coach membership. He had completed all other portions but had not received notification that he had missed this step. However, he does not excuse his mistake. “The fact that Wolf Pack became unofficial is due to a lack of communication. I take full responsibility for this. We are all human. Let’s strive to work together better in the future,” Blackstone said. The scores for Wolf Pack Classic were never entered into USQ Standings, thus, no shift will take place due to the tournament being deemed unofficial.